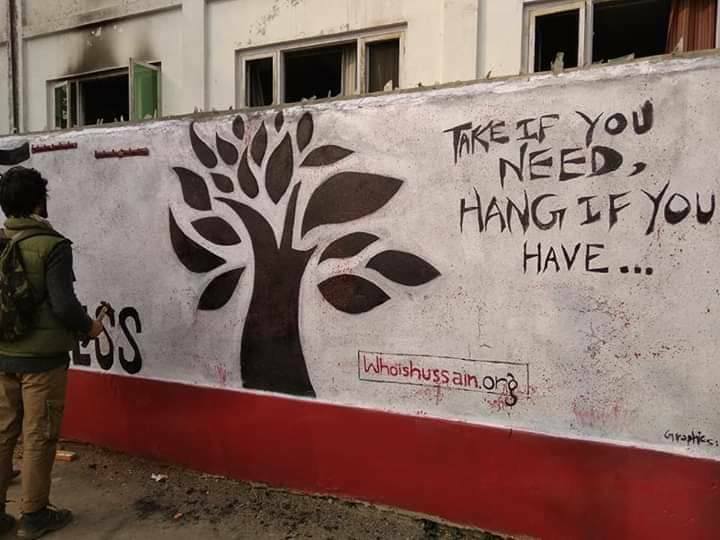 A “Wall of kindness ” was witnessed today at Srinagar’s Bund area in Kashmir for needy people launched by Kashmir chapter of WhoisHussian. On the “Wall of kindness” you can drop off articles and the needy can easily pick up clothes and other donated items. It is an act of kindness veiled in anonymity.The unique thing about this concept is that the giver and the receiver remain anonymous to each other. 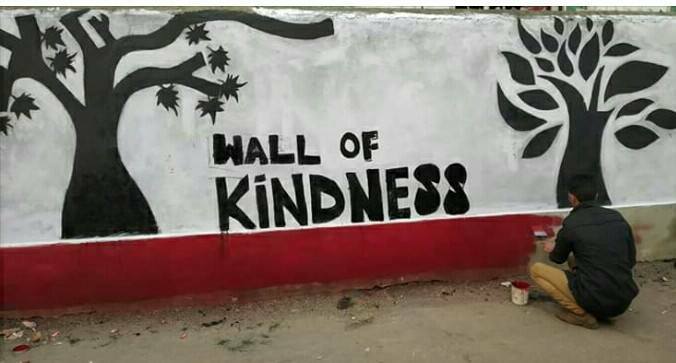 Wall of kindness is concept that originated in Iran and has found its way to many cities like Hyderabad and has now reached Kashmir. It is a charity based concept where the one can leave clothes for the homeless and poor against a wall. The sole motive of the concept is to keep the dignity of the taker intact and he can easily take whenever he wants rather than begging or knocking door to door for seeking help. The clothes and things to be given can simply be hung on hangers or nails on the wall from where the needy can take them away. 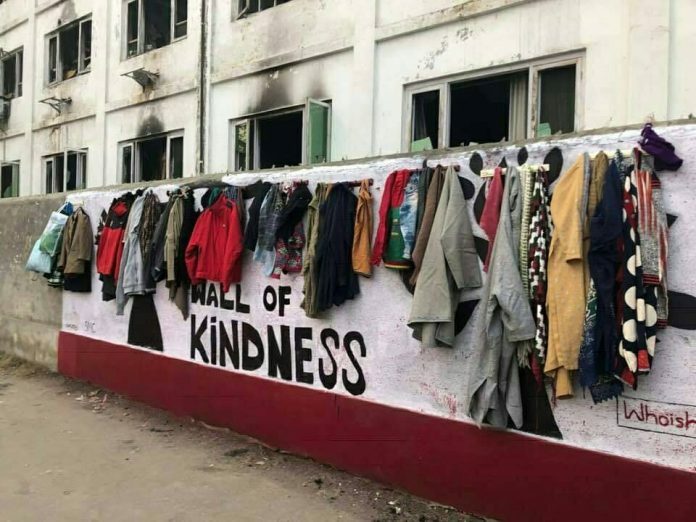 Over the years Wall of Kindness have emerged in Pakistan, parts of China and other countries. Netizens have hailed this act of kindness and have also showed their desire to donate on the wall. Who is Hussain is a global movement with representatives in over 60 cities worldwide. Their activities include helping the homeless, feeding the hungry, donating blood to save lives etc.